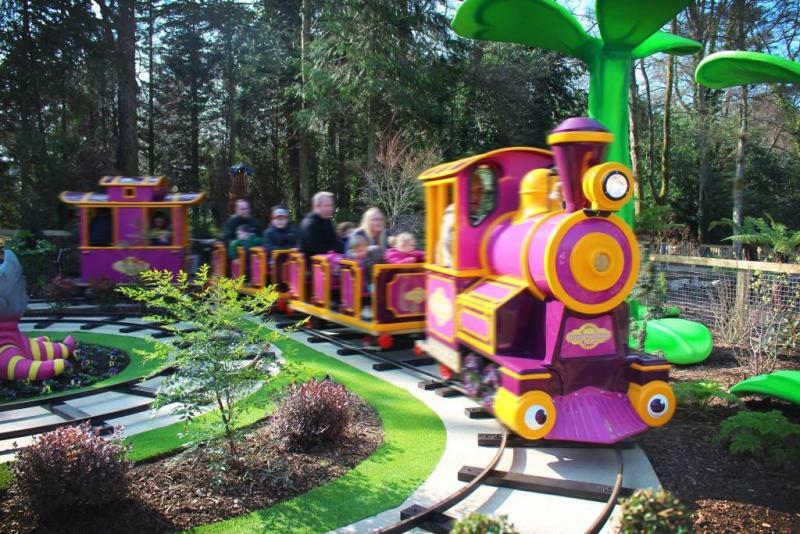 9 Fantastic Rides and Attractions for Children under 1 metre! Sign up at the Dinosaur Tour Co. for an exciting jeep expedition through the Jurassic landscape of the Lost Kingdom, and come face to face with some of the largest and most fearsome dinosaurs to have walked the planet. Dinosaur Tour Co. has no height restrictions, so the whole family can come along for a ride. You can even purchase your ride photo and your very own Lost Kingdom Rangers photo licence from Outpost 12 afterwards. Climb into your boat and ride the waves on this sailing adventure, it’s Grandpa Pig’s Little Train ride. Time for splishes and splashes as you giggle your way around this fun ride. 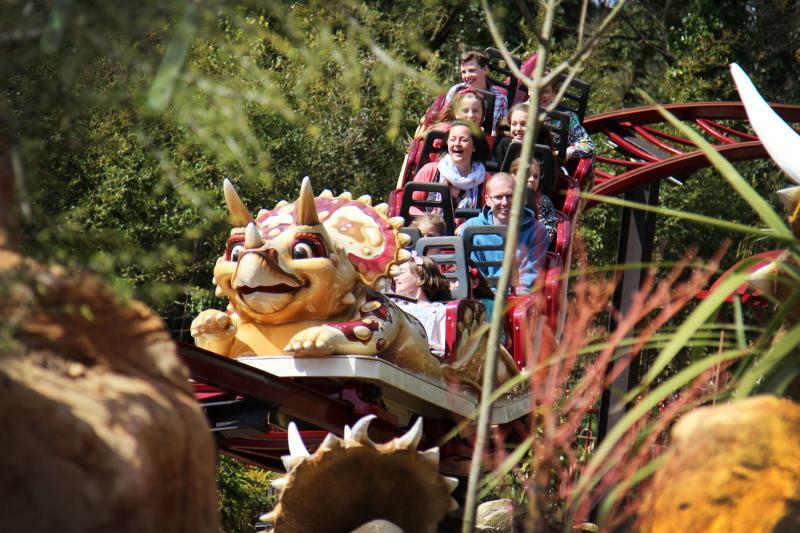 Dino Chase is a prehistoric junior rollercoaster in the heart of the Lost Kingdom. 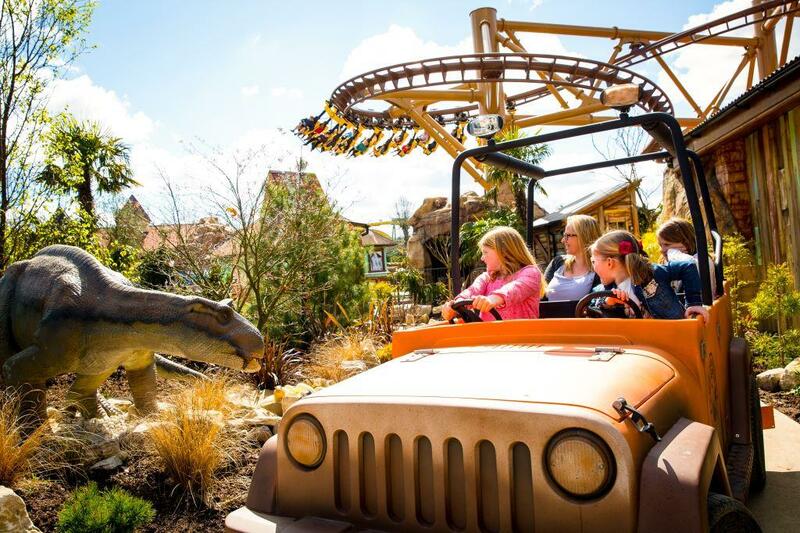 Dino Chase is a family coaster, and has no height restriction so is perfect for younger children! Anyone over 12 months old can ride and children over 5 years old can ride unaccompanied. Ride photography is available at this ride. 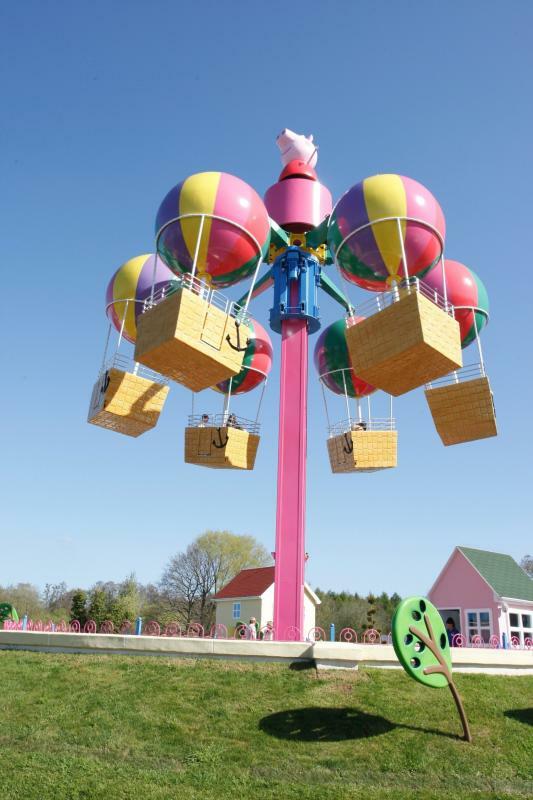 Right at the centre of Peppa Pig World is Peppa’s Big Balloon Ride, a wonderful spinning hot air balloon ride with spectacular views! 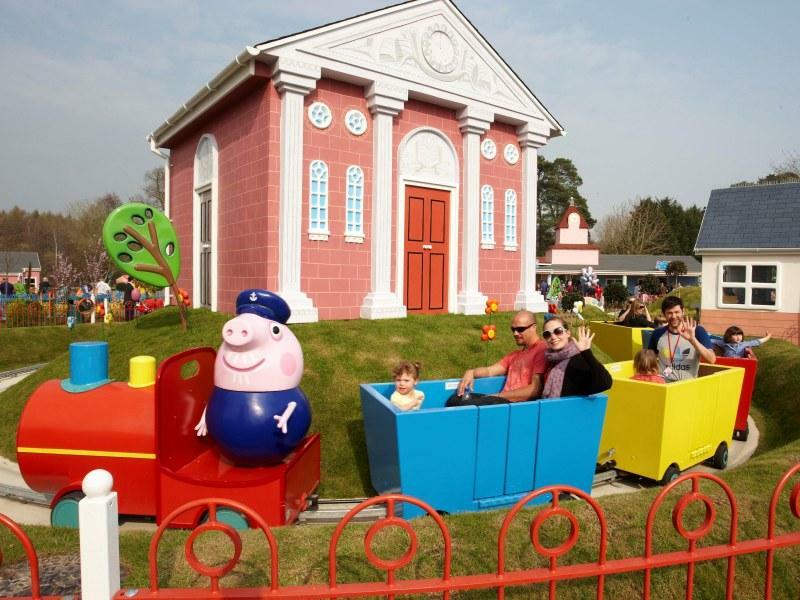 There are no height restrictions to ride Peppa’s Big Balloon Ride, and there’s room for the whole family to take to the skies on this magical ride for an amazing view over the whole of Peppa Pig World. If you find yourself in Critter Creek make sure you stop by Professor Blast’s Expedition Express, and take a mini train trek ride through Professor Blast's world of critters. There are no height restrictions to ride and children over 4 can ride unaccompanied. So hop aboard and see what you’ll find, and see if you can spot any of Professor Blast’s strange experiments. If you’re in Lost Kingdom make sure you stop Boulder Dash, another awesome ride with no height restrictions! 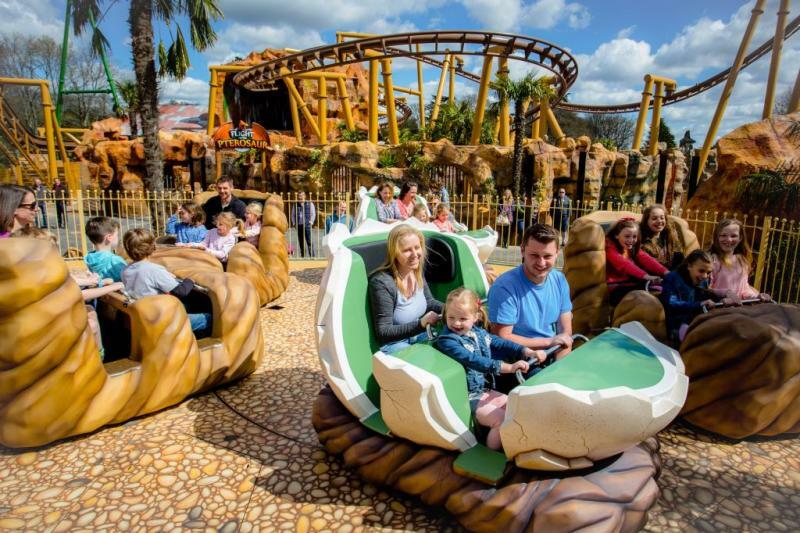 Choose between riding in a huge dinosaur egg or a giant stone on this prehistoric ride. Anyone can ride but children under 1.2 metres or less than 8 years old must be accompanied by an adult. 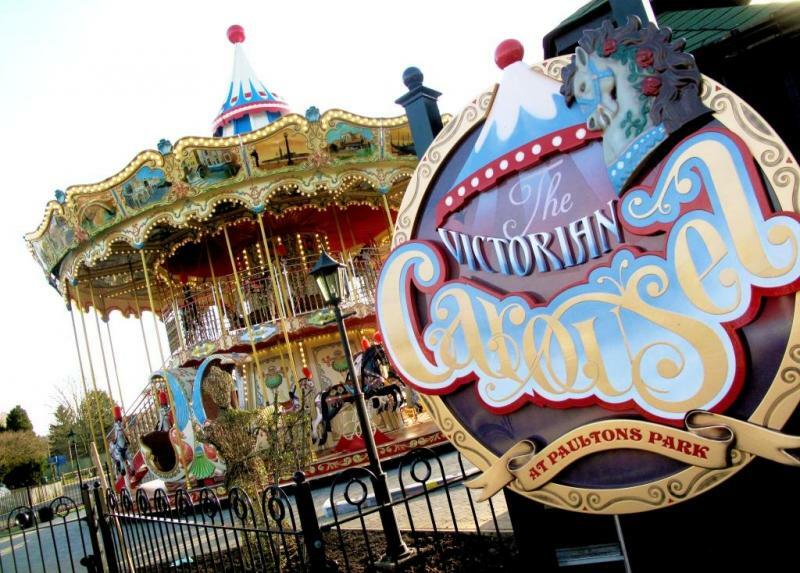 Children and adults of all ages will love The Victorian Carousel. There are no height restrictions to ride if accompanied by an adult, so the whole family can enjoy taking a ride on the traditional galloping horses or in one of the ornate carriages. This magical, hand-crafted Carousel will transport guests back in time to enjoy the most iconic fairground ride of all, set in a beautiful period-themed garden. An enjoyable attraction suitable for all the family, the 4D cinema lets you experience awesome 4D effects along with an exciting film! There are no height restrictions for the 4D Cinema, but anyone less than 8 years old must be accompanied by an adult. Take a leisurely ride around the farm on a full size trekking tractor. A delightful ride designed especially for the youngsters. 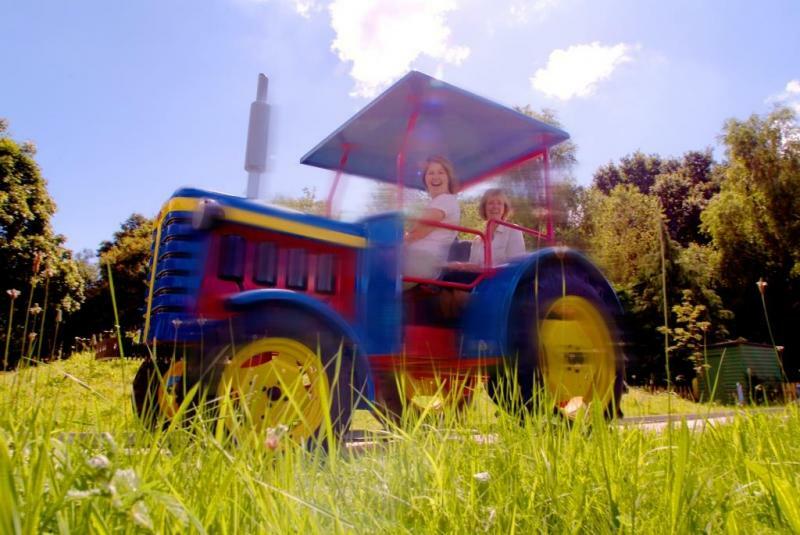 Climb aboard a full size tractor and take an enjoyable ride around a meandering farmyard track. Ride photography is available at this ride. 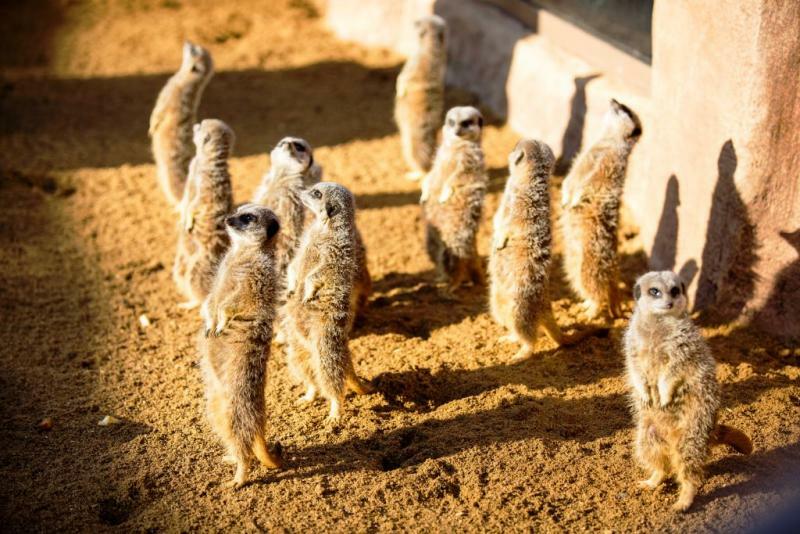 And there are many more rides and attractions around the park suitable for children under 1 metre, including outdoor and indoor play areas and lots of birds and animals throughout the park, including new for 2018 Little Africa! More accessibility information is available on our website, and you can even use the ride filter to see which rides are most suited for the age and height of your children.